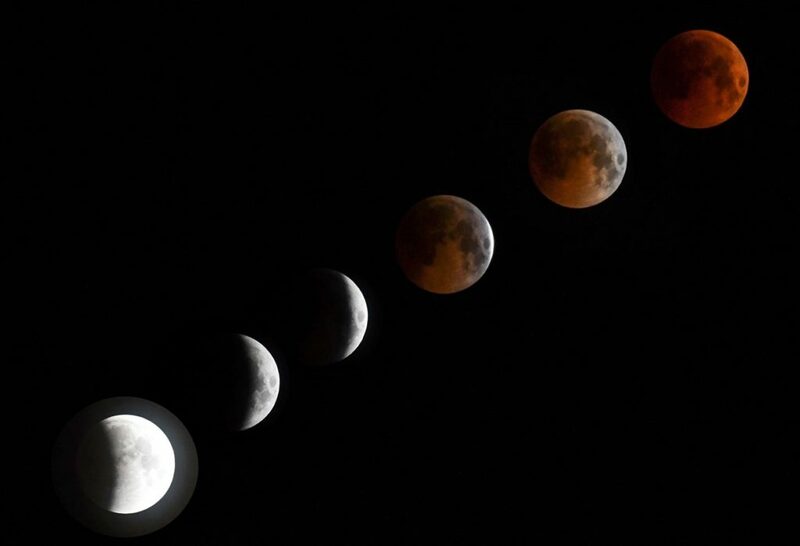 The first and only total lunar eclipse in 2019 is tonight! You won’t want to miss it because it will be the last one to take place for the next two and a half years. The Super Blood Wolf Moon should turn a red color during the eclipse that will last more than an hour. They also have an eclipse app. We have a category on the blog now called “Recipes from Gymbo’s Friends” where I am making posts for new recipes that people have tried & liked across the blog. Feel free to make your own closed post using that category when you try a recipe shared here!!! Look under Categories on the far right to select the category in the future. All I think everytime I visit the Kinzstyle Outlet, is would someone please put PJ Collie’s shoes on the right feet!!!! Thanks Dee and Moms for the info on the eclipse tonight and for making the recipes category!! did you get snow? what’s your weather like? i am sure nita knows i spent hours and hours on getting all of this together…neglecting my family and household……. we have snow……..cold so it did not melt……….so everything is closed…. i mean even churches were closed……. thankfully we have a lovely fire and soup percolating on the stove….i was worried about power loss with a limb coming down somewhere…..
how is everyone else? wasn’t gaga going to get ten inches or more? Thanks for the information on the lunar eclipse! I didn’t know this was going on. Just finished my homework for the week, but I have a ton of reading to do. For some reason I thought I had class tomorrow, but I am happy to report that I don’t. Already getting annoyed with the moose and cow in the clubhouse. There’s always other pets directly on top of them so you can’t click them! I was able to get the moose today, but the poor cow was getting trampled by the other pets, so I gave up on it for the day. Dee asking the important questions. Does stella get dressed up? She’d look so cute in those little pet outfits. Did she get a picture taken with santa this year? My cat hated clothing and my dad doesn’t want me to ‘torture’ his dog with silly outfits… I did find a reindeer costume on clearance last year and that little thing makes a cute reindeer. Well, here in CT we were supposed to get a big snow storm. We got maybe 4 inches..at least in my area. However we did get an ice storm right on top of the snow..it’s down the teens, and heading to single digits till wed. Got driveway cleaned up and ice melt down..
Had to use hair dryer to hest up car doors to be able to get in and then ran them for about an hour to get them really warmed up. Have dr. Appts mon. And tues. Ugh! Hopefully I’ll still be able to open doors tomorrow. . I love the recipe post for sharing great idea! Miracle, again your very welcome..I’m having fun finding stuff for your list..and I love being able to finally gift someone here some things! People here have been so generous to me, and it’s nice to be able to do it in return. Dixie… please don’t feel that way about writing a list !! Believe me, I, and others in this group, love to be able to share and trade with our gymbo family! It’s nice to be able to share.! So please do give us a list so we may share with you too! Oh..dee! You are so right.Stella would be precious dressed up.! Guys decided to rate it for all of you..lol a 20.! As to what happened next door. The cameras aren’t hidden, i put up warning signs and no tresspassing signs. Most people on the street are aware of them. We had some bad issues few years back. Up went fence cameras and a driveway gate complete with razor wire on top of gate.! Also installed perimeter infrared alarms.. those are hidden ..but I know when someone steps on the property! I will not live in fear. This is our home for better or worse. Can’t afford to move. I got involved with neighborhood initiative. We had a lot of dealers in the area. Took about 5 years of work with neighbors and police to get rid of them..it’s been nice till these people next door moved in. Hopefully they will move out after this. I did all those things so that I can live without too many worries. And it’s worked well. honestly I don’t worry about much here. And I have other protection. The cameras have helped the police a few times..and they tend to keep most in neighborhood honest, not everyone was happy with them at first..but now they realize why I did it and a few are actually thinking about put some of their own up! I’m certainly encouraging that. I miss living in the country, in a small town, where we never felt the need to lock our doors. City living has its perks..but it also has a lot of bad things to deal with. Well I’m off to get ready to watch Victoria on masterpiece! ! And then part 2 of the recreation of Victoria and Albert’s wedding. Love the pic of Stella leaping in the snow, April! Moms – thanks for all the info here, including recipe section! Your soup sounds delicious! Dixie – Sorry about chapped hands…. Chant – What an experience! How cool that you had some homemade treats for the cops! I’ll never forget the time when I found out a neighbor was murdered. I had just walked by her house with my little ones in strollers and/or walking near me ten minutes or so before the dirty deed. A teen killed the elderly lady that he did lawn care for when she went back to bedroom to get money to pay him. SO sad. Not a drug deal, but I bet he wanted money for drugs. I have an idea that he just wanted to knock her out, but still the story is so sad. It shocked our neighborhood. We don’t live there anymore, but that is one story that shook us up. Not to mention theft of son’s bike, predator after one of my sons and robbery of cash at my kids lemonade stand. We mostly have positive memories of that location, though. So I am glad for that. I guess I said something wrong because my post disappeared. I don’t feel like taking the time to recap it all. I’ll check in on Tuesday. Working all day tomorrow. I don’t seem to have the matching cupcakes to make any cupcake item. Is that happening to anyone else? I’ve been going to the clubhouse every day and to WKN. I don’t always catch the floating cupcake on my account, so maybe that is the problem. the moon is so gorgeous! dee.. thanks for the info on Blood Moon ! moms… really disappointed in the outcome of both of the playoff games yesterday…..but exciting games just the same ! Queen of Sheeba.. sounds like you had some very scary happenings in your neighborhood too ! Choco… happy you are off today… think it is a holiday… schools are off here today… not sure about mail service..
nitabuggy.. I am a bit jealous of your FLA weather !! Hope you are well ! good morning gramma !! You doing OK ? ?…Have really enjoyed listening to Bruce on Broadway ! Talks about growing up on Jersey Shore and remains his home ! Stay warm everyone living in “Arctic” weather… and to those of you who live where not quite so cold…. Enjoy ! Weather is cold here, for Florida lol. It’s breezy with temps in the high 40s. Not sure if I have a warm enough jacket for this. Usually I just wear a flannel shirt. I have to do some shopping for food today. We are tired of eating leftovers. Gonna scope out the recipes and see if there is anything easy enough for me to attempt lol. Hope everyone stays safe and warm!!! !